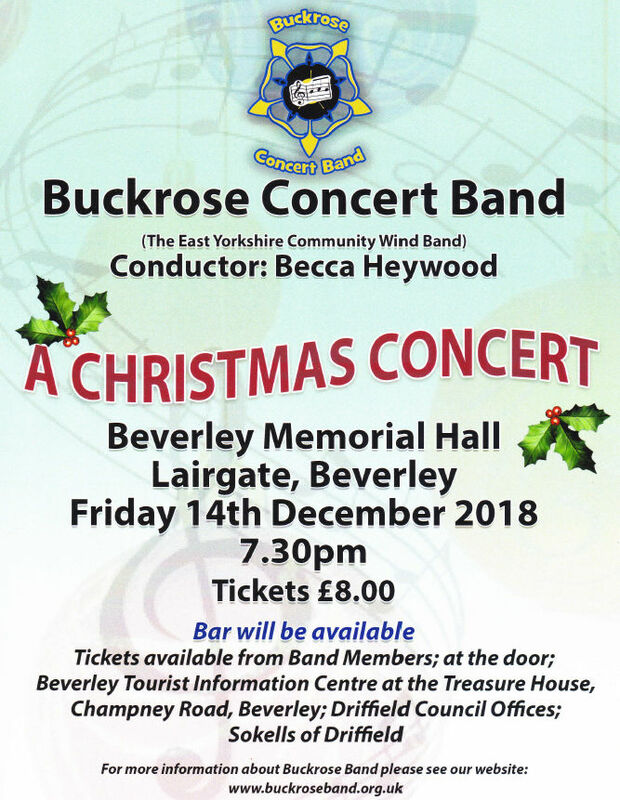 Buckrose Concert Band present A Christmas Concert at The Beverley Memorial Hall. 7:30 pm Friday 14th December 2018. 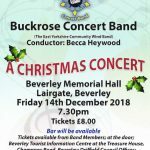 Tickets: £8. The Bar is Open.